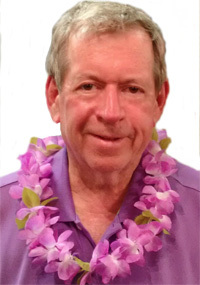 Trade expert Peter Clark was in Lahaina, Hawaii, for the recent talks at the Trans Pacific Partnership Ministerial meeting. The following is his post-game analysis. No one should be surprised that the Trans-Pacific Partnership (TPP) negotiators meeting in Maui fell short of its objectives. The Ministers made progress. Success was in sight but the light at the end of the tunnel turned out to be a freight train. The closing media conference was described in an email to me as a “Gong Show”. It was. It revealed little – and hid the anger and frustration which characterized the four day negotiating summit. Japanese media reports Prime Minister Abe was shocked by the failure of what was to be the final Ministerial meeting. New Zealand took the brunt of the blame from Japan. New Zealand adopted an unexpected hard line stance for more dairy exports at the last minute with a particular focus on access to US and Japanese dairy markets. The Yomiuri Shimbun reported a source inside the US Government as suggesting that the expectations of Japan, the United States and other participating countries were “unceremoniously betrayed”. Obviously not a US government source well versed in diplomacy. Japan’s Trade Minister Akira Amari referred to the elements of one party, thought to be New Zealand, as “extortionate”. Gordon Campbell at Scoop NZ suggests that New Zealand and Australia are engaged in a high stakes game of chicken for dairy and sugar access. Mr. Campbell explains that Australia and New Zealand appear to be trying to leverage acceptance of US demands on ISDS and pharma patents. It is also suggested that New Zealand includes Canada with the US for Investment issues – thus the entitlement to substantial access to US and Canadian dairy markets. “Gob” is British slang for mouth as in the Quebecois “ferme ta guele” or shut your trap. But I digress. “Gob-smacked” in the context used is a colloquialism for utterly and totally astonished. Astonished, shocked and appalled because the US and Japan did not clear the US offer to Japan on automotive rules of origin with Mexico and Canada. The US and Japan apparently originally agreed to a 30% local content rule – much more lenient than the 62.5 % NAFTA standard. Both Canada and Mexico would suffer if Japan could source its parts and input globally to a greater extent than the 62.5 percent level required in NAFTA would permit. Both Mexico and Canada objected. Gob-smacking, extortion and betrayal do not create an atmosphere for quick deal-making. However, don’t be too excited about the name calling. The frustration is real but President Obama, Prime Minister Abe and Prime Minister Key all expected to walk away from Maui with an attractive deal. Those whose predictions failed had to find a reason. The issues are not one-on-one conflicts. Data exclusivity on Biologic medicines and other Intellectual Property issues pit the US against Australia, New Zealand, Chile, Peru and several others. Dairy is New Zealand against the US, Japan , Mexico and Canada. The US, Australia, New Zealand and Canada all want improved access to Japanese markets for the sacred agricultural products. Chile will also have an interest. Mexico is also concerned about its sugar exports to the US being eroded by enhanced market access for Australia. Mexico is not a villain or deal killer. The Mexicans are only protecting their access to the US market. Mexico has made it clear it opposes Washington selling the same fish twice – at Mexico’s expense. There is very little time to mend fences and reach the compromises needed to allow the TPP to conclude. The comedy of errors is a tragedy. It is no laughing matter. The blame, if there should be any, is spread among several countries. But future negotiations and meetings must not be about blame. They should be about trying to achieve a balance among 12 diverse economies. While time is running out, President Obama may yet post a “W” on the TPP. I have not been optimistic about prospects for a TPP closure because I have been underwhelmed by the conduct of the negotiations. Can this change? This pure unenlightened mercantilism does not focus on other peoples’ problems nor on the big picture – except as a way to deflect attention from the costs which may outweigh the benefits. It is unfair to single out individuals, and Groser is also a target in Japan where dairy, not autos, is claimed to be the sticking point. There will be another Ministerial and it must be soon. Groser suggested the next meeting is just weeks, not months, away. Those predicting an end of August meeting or an early September meeting either do not understand the US legislative process, do not own a calendar or can’t count. Anything past August 18-20 is too late to meet the deadlines imposed on the US Administration. Equally important is Japan’s legislative agenda. The TPP was to be addressed by the special fall Diet session. The Japanese language press reports that this may soon be impossible. If the TPP goes into the regular Diet session for approval, it will be delayed until the New Year. The primary focus of the regular Diet probably will be on the Budget. Trade will come later – perhaps uncomfortably close to the 2016 Upper House elections in Japan. PM Abe’s own party is uncomfortable going into these elections and being dragged down by their leader’s declining popularity. the TPP is not popular with Malaysians – Intellectual Property and State-owned Enterprises are the most unpopular chapters in an unpopular agreement. There would be demonstrations in KL – with a high risk of their becoming ugly. Negotiations are continuing at the bilateral level and horizontally on Intellectual Property – as well as on market access issues. Intellectual Property is not simply a US-Australia issue. New Zealand, Chile and Peru were vocal on pharma patent protection at Maui; indeed, it has been suggested virtually all other countries oppose the US demand for 12 year protection. The buzz in the media bullpen, such as it was, suggested Australia would soften its position on Biologic medicine data exclusivity for more sugar access to the United States. Australian Minister Robb was not amused by press questions on this and ducked. There was a compromise proposal in play which would have seen Australia going from 5 years to 8 years protection – but it would have required a change to its legislation. While predictions about a 12 party negotiation – in effect a multi-dimensional chess match – are difficult, I am not a pessimist about the TPP. It can be done – and in a reasonable period of time with proper attitudes. To succeed in the next few weeks, there must be more – and better – give and take. US Trade Representative Michael Froman’s negotiating switch was stuck on “ask” and “demand” and did not come equipped to “give”. If Washington and Japan really want a deal, they will need to show more effective leadership – they will need to prime the pump. Australia will not achieve what it wants on sugar and dairy from the US unless it is more flexible on data exclusivity for biologics. The U.S. will need to ratchet back its demands. Imagination in packaging can often disguise differences. New Zealand is and should be proud that its parentage of the P-4 Agreement was a building block to the TPP – but when it invited the US into the deal, Washington, predictably, hijacked the initiative. This seemed to have suited New Zealand until its dreams on dairy were dashed on the realities of adverse global market supply and price trends and the realities of bilateral balancing – a feature which Washington has made a central aspect of these negotiations. Tim Groser recognizes that no participant ever gets all that it wants. His last minute inflexibility may improve New Zealand’s results, but this will not likely involve major capitulations by others. I believe that the TPP will benefit all parties. It will be an important building block to further trade liberalization. Too many of the parties are entrenched in unrealistic ambition. It is difficult to back down on unrealistic demands. And, the middle ground on each of the delicate issues will be mutually unsatisfactory. Negotiators who understand the overall benefits of the TPP will engage in pragmatic give and take – a necessity for all parties. There will be no closure until the US and Japan provide more leadership. There were signs of this emerging at Maui – but too little and too late to save the day. If the Big Two do not seize the initiative, TPP will be doomed to a more uncertain and less ambitious fate and several years delay.